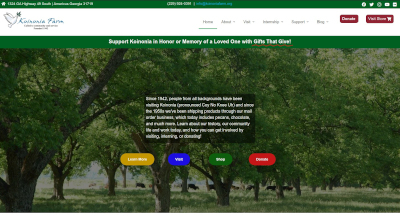 These products provide unique opportunities to support the life and work of Koinonia Farm and your donation for any of them is tax-deductible. Backpacks for Hospitality Beyond Borders provide clothing for men being deported from nearby Stewart Detention Center. 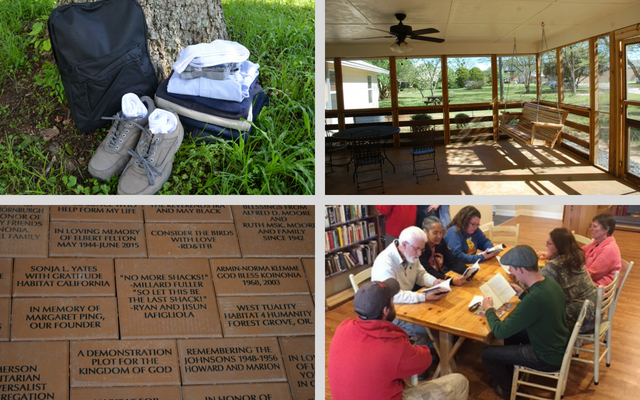 Bricks for the Commemorative Brick Project will help pave pathways and prayer gardens around the farm and fund Koinonia’s various ministries. Both Backpacks and Bricks can be given in honor or memory of a loved one. Sponsor an Intern allows you to provide housing, food, and other supplies for an intern’s stay at Koinonia Farm. Sponsor a Guest provides a meal and a night’s stay at Koinonia for people who can’t afford it themselves. You can also make a general donation to support all of Koinonia or donate to a specific aspect of Koinonia’s life and work. However you donate to Koinonia Farm, you are helping us continue our life as a demonstration plot for the Kingdom of God. We cannot do this without you. Thank you.